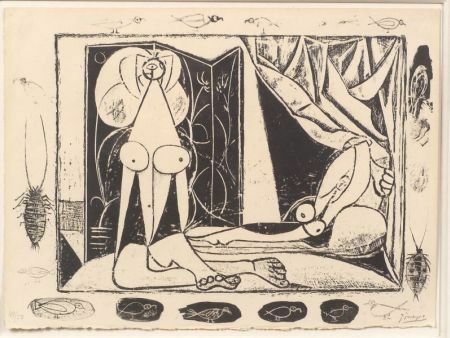 Les Deux Femmes Nues, 1946, edition of 50 (Bloch, 390). 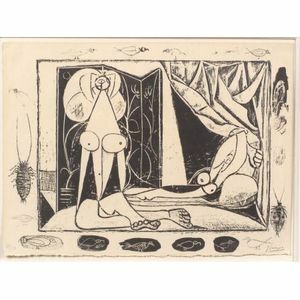 Signed "Picasso" in pencil l.r., numbered "49/50" in pencil l.l., identified on a label from Pace Editions, Inc., New York, on the reverse. Lithograph on paper, image size 12 1/2 x 17 in. (31.6 x 43.1 cm), framed. Condition: Deckled lower and left edges, subtle toning, not examined out of frame.